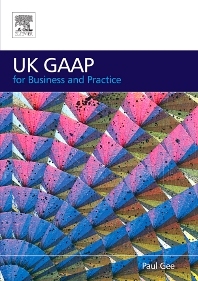 UK companies other than those listed on the full market or AIM will be permitted to continue using UK GAAP for several years to come. The Accounting Standards Board recently announced that it was re-considering its strategy for converging UK GAAP with IFRS. The UK Government has also brought in many company law changes in the past two years. Never in the history of financial reporting has the pace of change been so rapid. • An Executive summary of recent developments; • UITF Abstract 40 on Revenue recognition; • Financial Reporting Standard for Smaller Entities (effective January 2005); • The latest convergence developments, including summaries of comparison of UK GAAP with IFRS; • Financial instruments (FRS 25 and 26); • Events after the balance sheet date (FRS 21); • A new chapter on the UK regulatory framework, including statutory Instruments issued during 2005; • Overview of reporting requirements for listed companies. • Frequently Asked Questions at the end of most chapters. • Each chapter concludes with a concise summary of relevant IFRS requirements. • References to relevant websites. The book also includes summaries of current standards and key implementation dates. Accountants in small accounting firms (LLPs), and small groups of accountants in SMEs. Paul Gee is Technical Director at Solomon Hare Chartered Accountants Bristol, UK. He is an experienced consultant in the area of financial reporting. Paul lectures to the corporate market and small practitioners and therefore knows his audience , and the market, very well.